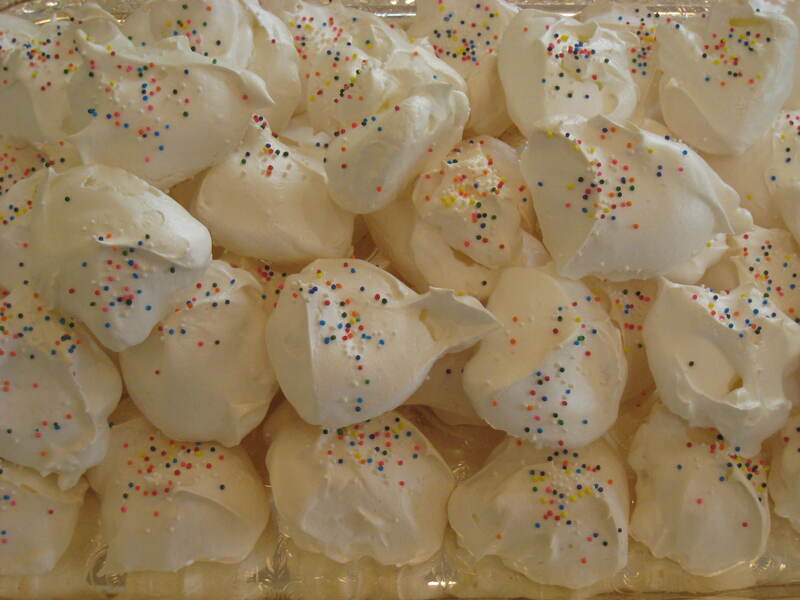 Meringue clouds…..a divine confection of the Gods! A special occasion delicacy passed down by our grandmothers ! 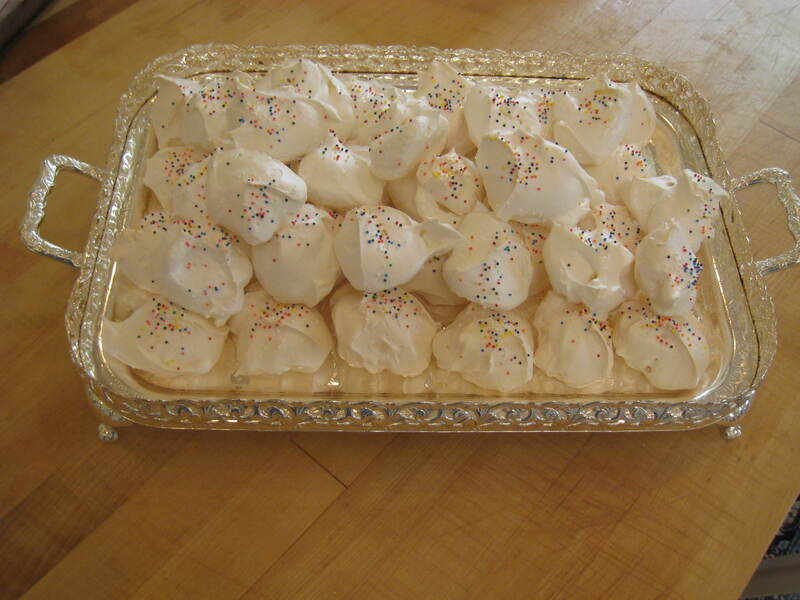 Growing up, we knew it was a very special occasion when Grandma made Ashuplados……meringue clouds! Sweet….light as a feather, a light shell on the outside. Texture, sweetness……simply….divine!!! They look beautiful on a sweet table, and delight young and more mature and sophisticated palettes alike! These are one of my mom’s signature delicacies. Last year, we prepared this post when my mom made these for my young cousin’s “Banyo di Novia”. (She prepared them again this month for the Brit Milah and Pidyon haBen of the new baby son of the same cousin……mashala!!!) They are a superb Pesah treat, as well. Give them a try! And let us know how they turn out!! Separate eggs. Use whites ONLY. Place in a COMPLETELY dry mixing bowl. (moisture will adversely affect the creating of the meringue). Spoon mounds of the meringue onto the lined cookie sheets. Ashuplados can be made as large or small as you wish. My mom used heaping tablespoons to create these clouds. Before putting them in the oven, TURN HEAT DOWN to 225 degrees. Bake for one hour. Reblogged this on Bendichas Manos.